Llanwynno is situated in the county of Glamorgan,at an altitude of 1100 feet above sea level. The farms and pastures in the area date from about the twelfth century,but there has been Christian worship on the site since the sixth century. The documents relating to St. Gwynno's Church - now a listed building - are held at Margam Abbey,near Port Talbot. The Church has two bells,and the Communion Cup(1614),is kept at Christchurch,Ynysybwl. 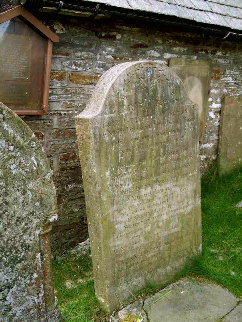 The oldest grave at St.Gwynno's is that of Christina POTT ,who died in 1667,aged 42 years. Amongst those who have been Wardens of St.Gwynno's Church,are William REES and Edward GIBBON. St.Gwynno's Church is currently open to visitors between 2.00 p.m. and 4.00 p.m. every Sunday. Charity schools began at Llanwonno in 1774.The first school in Old Ynysybwl was situated at the top of the village,opposite the Old Barn,which has now been demolished.The Headteacher was a Mr.John Williams.There was also an open-air school called Birch Copse. In 1786,schools were also held at Pwllhelyg,Ty-Tan-Wal and Rhydygrwyddyn.Ynysybwl Mixed School was built in 1867.In 1920,children from Other Street,Old Church Street,Clydach Terrace,Clydach Road,Rock Terrace,Mill Road,Ffrwd Terrace,Ivy Terrace,Hollybush Terrace,Brynffynon Terrace and Pleasant View attended the school. The confluence of the Rivers Ffrwd and Clydach is below the Mynachdy Housecoal Level(1903),near the Old Ynysybwl Inn,which was there in 1650,and where,in 1730,international handball was played. Below 'Oter Street,'now known as 'Other Street,'and Old Church Street,is Roberttown. The Ynysybwl Railway was first owned by Taff Vale Railways,and the return fare to Pontypridd,was four old pence (4d).The last passenger train from Ynysybwl Halt to Pontypridd was in 1953. 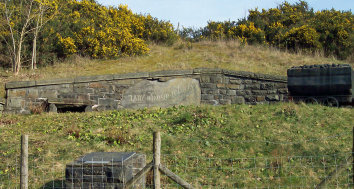 Situated at Ynysybwl this colliery was sunk in 1886 by the Ocean Coal Co. Ltd. later to become Ocean and United National Collieries Ltd.
From the Inspector of Mines list 1896, there were 1141 men employed here. In 1918 the workforce numbered 886. By 1945 there were 1153 employed. In March 1975 it was linked underground with Abercynon colliery to form a single producing unit at a cost of £450,000. At this time 1,150 men were producing 318,000 tons yearly from Six feet, Lower Nine feet and Seven feet seams. The coal was raised at the Lady Windsor end of the unit from a depth of 687 yards.